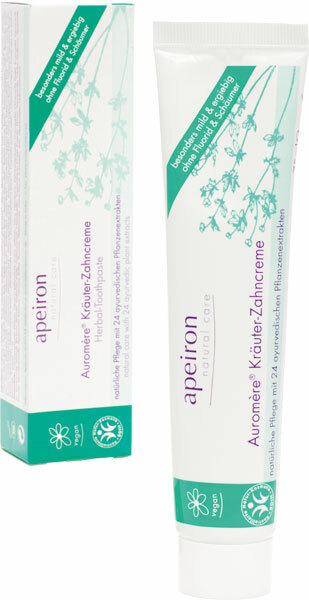 Auromère ® Herbal Toothpaste is a composition of 24 precious Ayurvedic plant extracts. Fine abrasives gently clean the teeth and gently remove harmful plaque. Extracts of the neem tree, clove and licorice counteract plaque and caries-causing bacteria. Chinese date, yellow wood, rose apple and Baleria strong and soothe the gums. For the pleasant and unique taste make thyme, mint and Ceylon cinnamon. Auromère ® Herbal Toothpaste is very mild and can be used by children. 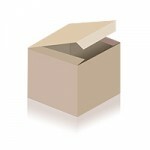 Contains no unnecessary fillers such as volume forming frothers and is therefore very efficient and economical. Free of surfactants and added fluorides. Auromère ® Herbal Toothpaste is the ideal dental care for the whole family.